It’s here! And it didn’t even get rained on. I have my pillow! My knives! My iHome alarm clock! My hiking boots! My Professor Snape and Nancy Pearl action figures! Ah, but you know, it’s like the day after Christmas. Where is the taco sauce? Andreas’s neckties? Why didn’t I buy the walnuts and almonds at Costco like I meant to? Sweet vermouth? Power drill? Bathroom rugs? 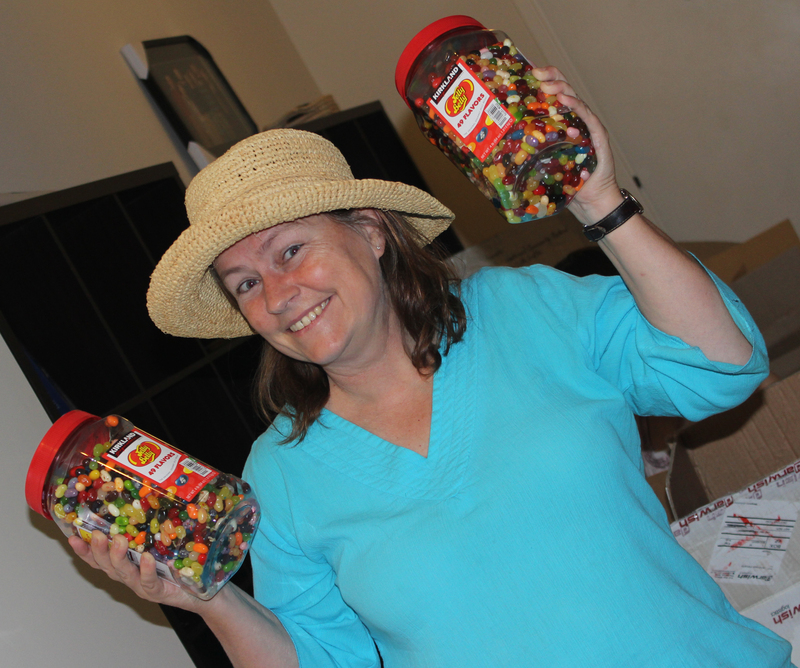 Still, life is good when you have a year’s supply of jellybeans. This entry was posted in Ethiopia, Expat experience, Home life. Bookmark the permalink. I remember this! But in Vienna we had 700 lbs and were down to counting pieces of paper, while in Russia they took everything but our car almost. Happy day! Actually, a different company this time. 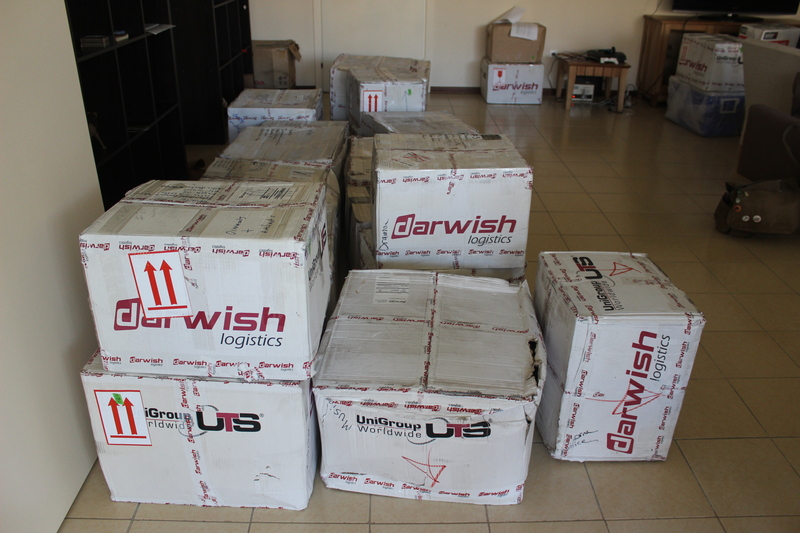 We just reused the boxes from Syria (remember, we packed ourselves this time – you helped!) The wait was because we first needed our residence visas, then the first two cargo planes were full and this company flies once every two weeks. Then there was customs paperwork at the airport, and that took another week. Three possibilities here. 1. typo 2. this is spam and I should unapprove it 3. Alice, did you somehow change your email address to “homail”?